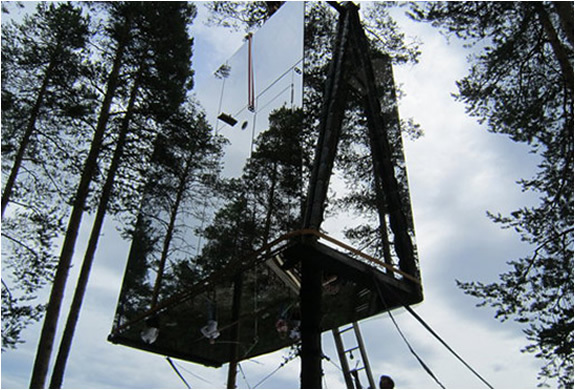 This futuristic project was conceived by Tree hotel co-founder kent lindvall, it´s located in Sweden and currently consists of four crazy rooms, the mirrorcube, the nest, the blue cone and the cabin. 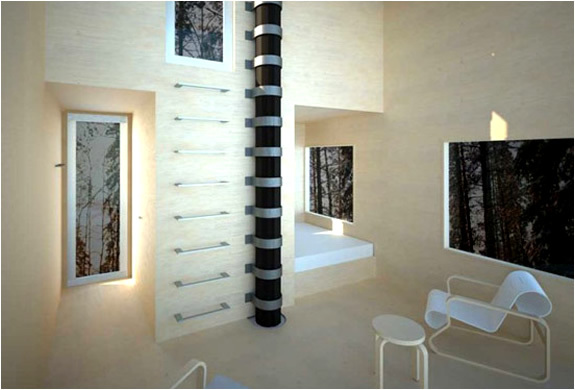 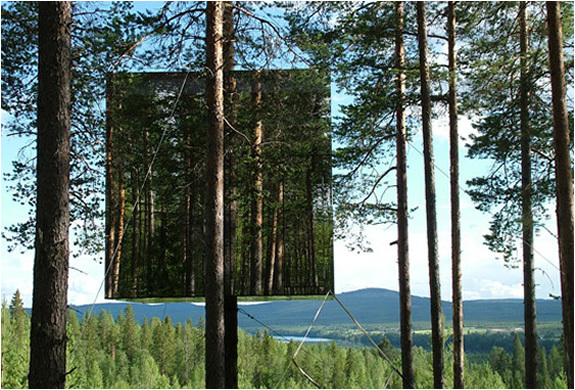 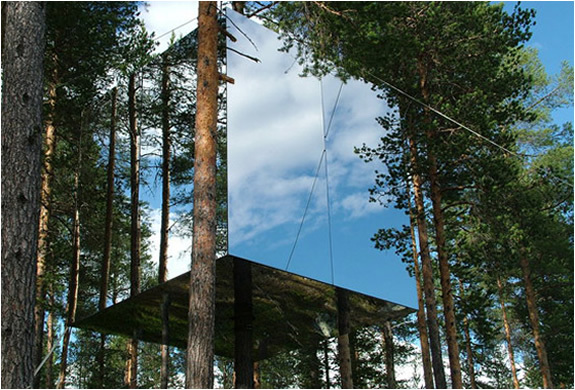 The most impressive of the rooms has to be the "mirrorcube", it reflects everything making it nearly invisible in the forest. 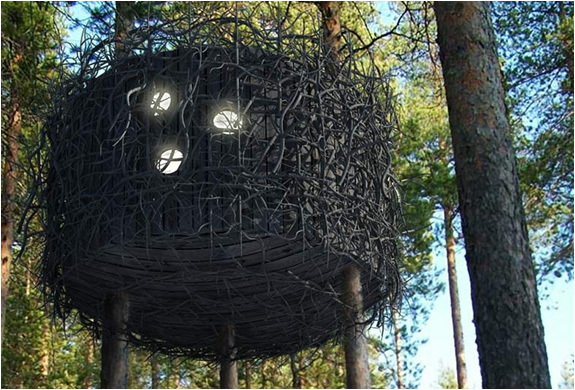 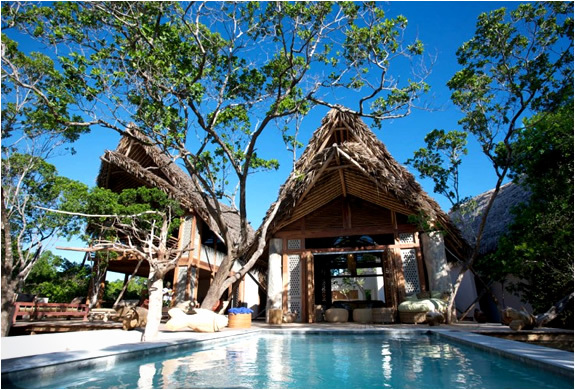 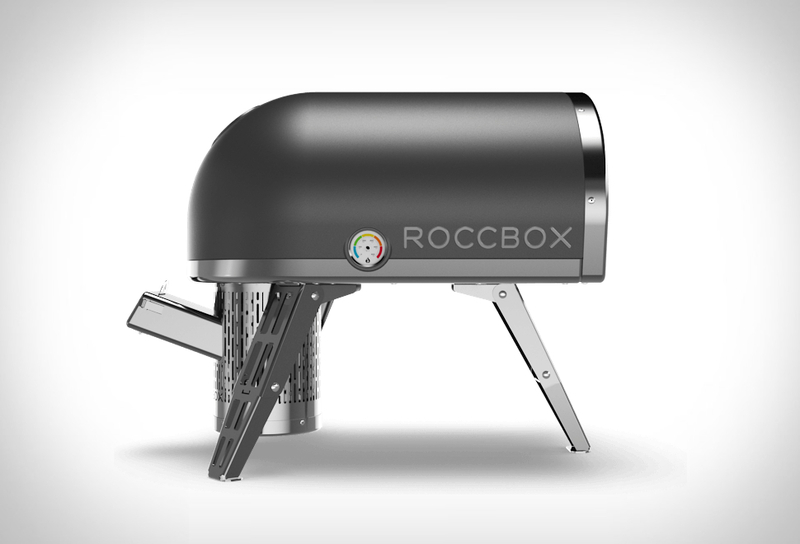 Check out the hotel´s website for more info and photos on this awesome project.